When you drink a beer from a bottle or a can, do you drink it right from the bottle or can, or do you pour it into a glass? 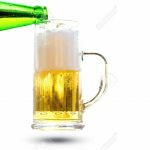 While I’ve certainly had my share of beer right from the bottle or can, I am always aware, each time, that I’m missing out on truly enjoying the beer. When you drink a craft beer directly from the bottle or can, you simply don’t pick up the full flavor and aromas in the beer. Drinking beer this way almost completely eliminates capturing any of the wonderful aromas from the beer because you never have a chance to allow your nose to smell this delicious liquid. It also means that you allow most of the carbonation to go directly into your stomach, a process that can leave you feeling bloated. And, not releasing the carbonation from the beer gives the beer a sparkling mouth feel, and that changes how the beer tastes. The best way to drink a beer out of a bottle or can is by pouring it into a glass. But it’s not just pouring it into a glass that counts, it’s pouring it the right way that really matters. And ideally, you’re matching the style of glass to the style of beer. Regardless of the glass, it’s how you pour the beer that really matters. The idea is pour the beer so that you get a big head of foam. 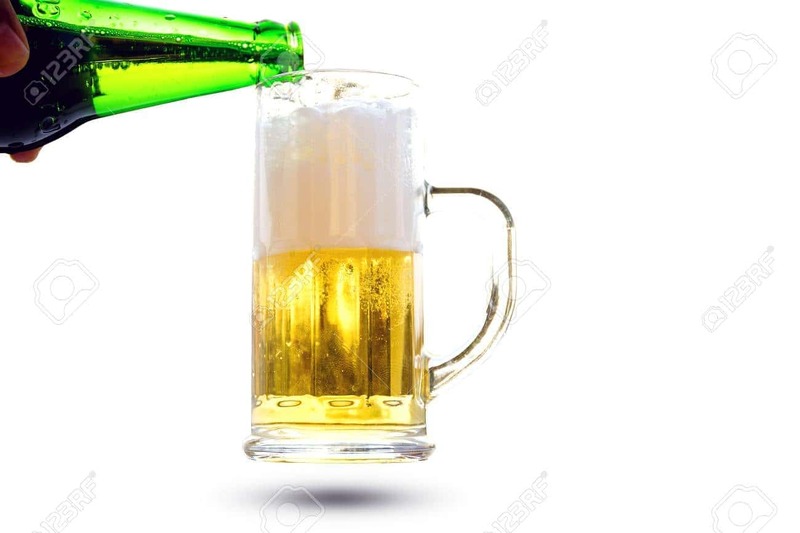 Don’t pour your beer gently: tilting the glass, pouring the entire bottle or can slowly down the side of the glass, avoiding creating any significant head on the beer. No—pour it hard! Start the beer on the side of the glass, then quickly raise it up 6 to 12 inches above the glass, allowing it to crash directly into the rapidly rising pool of beer. You’ll get a big head on your beer… and that’s the idea. It takes a little practice to get a perfect pour, but once you master this, you will enjoy your bottled or canned beer so much more. With most glasses, you’ll need to stop before you finish pouring your bottle or can. Once the head gets smaller, pour the rest of the beer in. Yes, you have to patient and wait a few minutes until the carbonation bubbles in the head dissipate. But once you lift the glass for your first drink, you’ll see a beautiful sight: a glass of liquid nectar that’s spectacular in color, inviting in aromas, and amazing to taste.